We at Earth Mantra find it remarkable how many great ambient musicians there are in the community, and we feel privileged whenever we have the opportunity to meet a new artist and release their work to the world. 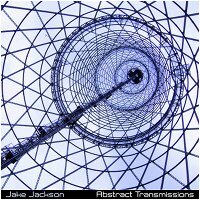 Such is our honor today, as we introduce Jake Jackson to our audience, with his jaw-dropping new album Abstract Transmissions. Folks, we have a real treat in store for you here. From the moment we started listening to Jake's work, we knew that we were hearing something truly special. There are a lot of ambient artists out there who can put together competent ambience; a subset of those artists can produce results that are truly interesting, and fewer still create music that is genuinely compelling. But very few artists can create compelling music that is both abstract and textural as well as tonal and composed, fusing it all together into a whole that feels natural and, indeed, inevitable. Such is the level of talent Jake brings to bear with this beautiful album. The music of Abstract Transmissions deals heavily in drone, but only insofar as the melody and song structure has a pace that makes it feel like drone. For underneath the surface beats a heart of tonal magnificence slowly flowing across the soundscape like molten lava, powerful and unstoppable. This is the kind of ambient music that justifiably demands active listening, the kind of work that will make you sit up in your chair and pay attention to all the fascinating things happening to your ears. If the music itself weren't enough, Jake also obviously paid careful attention to the sound stage. The recordings are clear and smooth, and the sound design is exquisite. Really, this album hits on all cylinders with perfect timing, the kind of ambience that we think our fans will want to hear again and again. So with great pleasure we unveil Abstract Transmissions and add Jake Jackson to the family of Earth Mantra artists. Another album that we feel certainly will go down as one of the notable titles of 2011. Welcome to Earth Mantra, Jake. A great album ,i have been listening to it while i was hiking in the mountains .the album has a dark and mysterious sound in it.especially the first track "the pure land" ,it's like a dark apocalyptic mantra ,really epic.I'm looking forward to more work from him. A profound journey into the universe of the mind! Powerful and compelling. Wow! Thank you Jake. While listening to this album at work, some of the older workers had nose bleeds, digestive problems and/or disavowed God only to reavow him moments later when they thought they were dying. Good album. A wonderful debut release! Dark, contemplative, and introspective journey that is sure to please any fans of drone and meditative music.